The BCT is hosting four unique outdoor summer theatre camps running from July 8th to August 2nd. Each camp is only $150. Check out their site here or call (360) 734-9999 for more information. To register for Bellingham Sings classes, call 393-1687 or click the “Contact Us” link on their website. BellinghamART classes reflect a conviction that anyone, at any age, can learn to draw and paint. Whether you’re new to BellinghamART or have been coming for years, you’ll learn new skills and have fun creating art. Each camp includes all your art materials, tools and a daily nutritious snack. Click here for more. Fingers become nimble and minds expand as kids create beautiful objects through a diverse grouping of projects. Children will enjoy a solid and varying rhythm of activities balanced with daily walks to local parks and the beach for outside fun. Three camps are offered: Creativity Camp, Pottery Camp, and Advanced Creativity Camp. The camps will be held at the home of teaching artist Sandra Loeffelmann, 3026 Cedarwood Avenue in the Birchwood Neighborhood in partnership with Whatcom Hills Waldorf School. Ages: 7 and up. Materials and Firing included. Snacks provided. Please bring lunch, a bottle of water and good walking shoes. Check out their site for more info! Throughout the year, Everybody Bike sponsors bike rides, events, and classes. From May to August, enjoy weekly Summer Rides led by Everybody Bike. See the bicycle events listing here for a wide variety of fun and informative activities. TUITION: $80 for Ages 8-15 years, 20 singers per class, music provided. ABOUT: Come as we travel through folk, theater and easy art song repertoire while learning solid and healthy vocal techniques in a fun and supportive environment. Lynden’s Jansen Art Center is hosting a number of camps and workshops throughout the summer. Visit their site for more information. About: Learn the art of business & the business of art. Participants will receive a commission on all sales plus have fun learning about entrepreneurship!. Important themes at Mindport are exploration, observation, creativity, play, and, last, but not least, fun. Bring your family today and experience exhibits which have been compared to those at the San Francisco Exploratorium or OMSI in Portland. More information on their site here. The Missoula Children’s Theatre (MCT), the nation’s largest touring children’s theatre, has been touring extensively for 38 years now from Montana to Japan. This will be their 14th visit to Mount Baker Theatre. The tour team will arrive at the Mount Baker Theatre with a set, lights, costumes, props and make-up, everything it takes to put on a play…except the cast. Each camp consists of 50-60 local students who rehearse throughout the week and present two public Saturday performances on the Main Stage. Enrollment information at their site here! Pace Atelier is enrolling for fun, fabulous and exciting summer art camps for kids ages 4-teens. Media choices include: ceramics, mixed media sculptures, papier-mache, paper making, printmaking, found object sculptures, plaster and stone carving, painting, drawing and more! Each day has a focused art project with lots of time to work individually. Schedule and tuition information here. Summer camps for Pre Ballet (ages 3-6) & Beginning Ballet (ages 7-9) at the Jansen Art Center in Lynden. Click here for details. Village Books is hosting a week-long half-day summer camp, Monday, August 5th through Friday, August 9th, from 1-5 pm each day. Join VB staff member Claire as she leads each day of themed activities with hands-on projects, book related topics, and field trips around Fairhaven. Snacks included. The camp is open to boys and girls, ages 7-10. The cost is $129 per child. Click here for more information. Whatcom Community College is now enrolling for Summer classes. Courses offered include dancing, outdoor recreation, cooking, fitness and much more. See the complete course listing here! 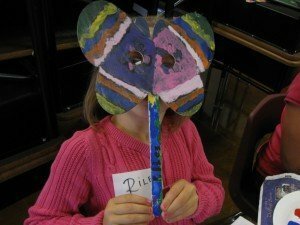 Their theme-based Summer Art Camps feature numerous three-hour sessions during which children will learn to work with a variety of art mediums. Visits to the Whatcom Museum’s galleries are included to enrich the child’s knowledge of fine arts. 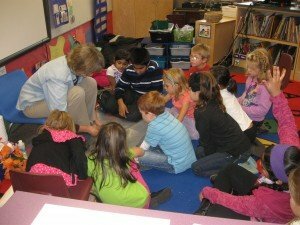 In addition to making art every day, children are encouraged to interact, talk, and learn about the history of art, its role in society and how it affects our daily lives. Each session is conducted by guest instructional artist, Gabriel Miles. Light snacks and refreshments will be served at each session and admission to the museum is included. Art projects will be taken home at the end of the session. Sessions will not be repeated. Click here for more information!